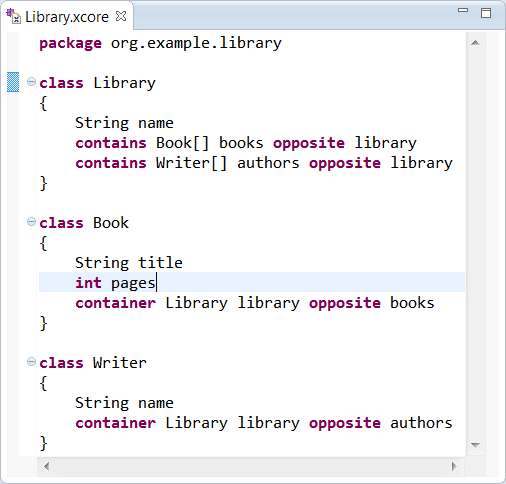 Xcore partially completed library example model. current 10:14, 7 February 2012 506 × 484 (17 KB) Ed.merks.gmail.com (Talk | contribs) Xcore partially completed library example model. This page was last modified 10:14, 7 February 2012 by Ed Merks.